The Arctic Ocean is beginning to look and act more like the Atlantic. It&apos;s a shift that threatens to upend an entire food web built on frigid waters. , a blue and white, three-masted research vessel, maneuvers through the dark waters of a fjord on the west coast of the Arctic island of Spitsbergen. Craggy peaks streaked with snow rise sharply out of the water. Expansive sweeps of glacial ice plow between mountains and into the fjord, ending abruptly in towering turquoise walls. Chunks of ice drift by, sizzling and popping like sheets of bubble wrap as they melt and release air captured ages ago. As the ship sets anchor, scientists in wool sweaters, knit hats, rubber boots, and insulated marine jackets spill onto the deck and begin their work. One lowers a silver box of an instrument into the water to record its temperature, salinity, and depth. Another uses a winch to drop a cone-shaped net over the side of the ship to the seafloor. On its way back up, the fine mesh gathers a menagerie of tiny sea creatures, including krill, copepods, other tiny crustaceans, and a couple of grape-sized sea jellies. The 160-foot-long Oceania, first launched in 1986, has been an important Arctic marine research platform for more than 30 years. The copepods, tiny and transparent with slim red antennae, are the least beguiling of the hoard, but they are the main target. “We want to find out who they are, where they are, and how many of them there are,” says marine ecologist Sławomir Kwaśniewski who works at the Institute of Oceanology of the Polish Academy of Sciences (IO PAN) in Sopot, Poland. These minute crustaceans form the key middle links in a compressed Arctic food web: They are the primary food for Arctic cod, marine birds, and bowhead whales—and the energy and nutrients they contain help sustain seals, reindeer, and polar bears. 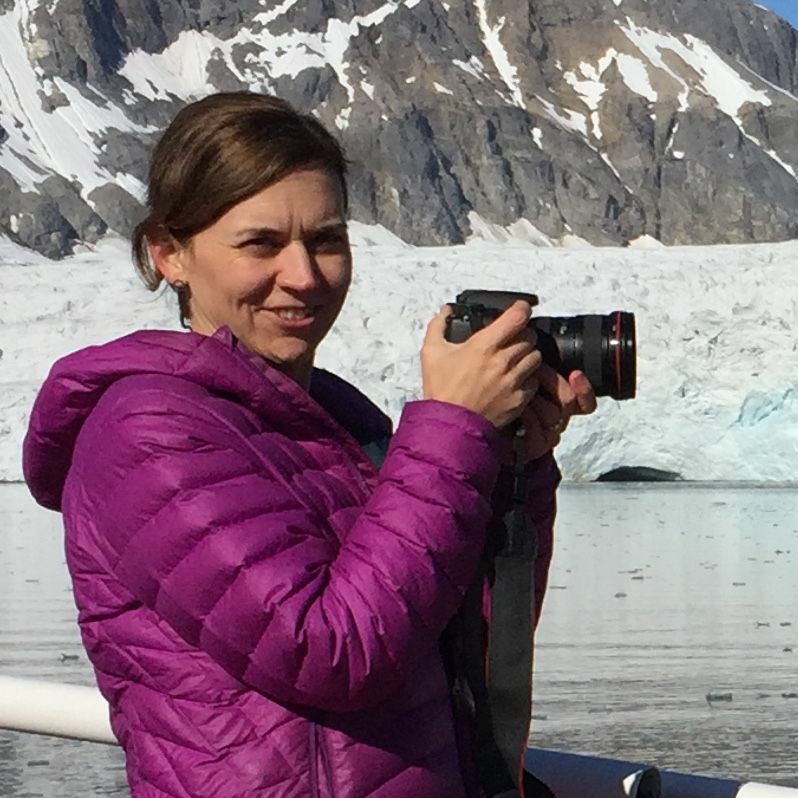 By studying copepods, along with the Arctic ecosystem they support, from seafloor to bird-covered cliffs, the researchers hope to gain a better understanding of how climate change is restructuring that food web and changing the entire biological character of the Arctic. At its core, the scientists’ interest in the tiny copepods lies in a relatively recent phenomenon—one they’re calling the “Atlantification” of the Arctic. Years of sampling have shown that the Arctic Ocean is losing its distinctly Arctic traits and becoming increasingly more like the Atlantic. Its sea ice is melting, its water warming. In response, animals from warmer climes are encroaching, leading to a reorganization of its biodiversity. One particular copepod species is providing clues about the extent of the disruption and just how grave it might become. Scientists have known for more than a century that water from the Atlantic Ocean sweeps past Europe, squeezes between Greenland and the Norwegian island of Spitsbergen, then flows into the Arctic Ocean on a branch of the Gulf Stream called the West Spitsbergen Current. This Atlantic water is warmer and saltier than Arctic water, which is kept colder and fresher by melting sea ice, calving glaciers, and the mighty Siberian and Canadian rivers that flow into it. In other oceans, cold water is heavier and sticks close to the seafloor. Here, because of the cold water’s freshness and lower density, the layering is reversed; the Atlantic water flows closer to the seafloor. Scientists can map out these water masses by noting temperature and salinity at varying depths. When a researcher drops a probe into the ocean over the continental shelf near the west coast of Spitsbergen—the largest island in the Norwegian archipelago of Svalbard—it sinks first through cold, relatively fresh water. Then it hits the halocline, a layer of cold but increasingly salty water. Finally, it passes through a third layer, the warmer and saltier Atlantic. The halocline blocks the warm- and cold-water masses from mixing, and keeps the distinct layers intact. But as the planet warms and Arctic sea ice melts, these three layers are becoming muddled. More and warmer Atlantic water now flows into the Arctic Ocean on the West Spitsbergen Current. Rising air temperatures warm the upper layer of water and, in the absence of ice, winds whip surface waters into a froth. All of this weakens the halocline and allows the layers to mix. In some parts of the Arctic, scientists are now finding warm water masses close to the surface. The Atlantic is showing up in places they’ve never seen it before. Historically, fjords along the west coast of Spitsbergen had been spared the influx of Atlantic water. The strong halocline here staved off warm, salty waters, and the fjords themselves were shallow enough that their entryways were positioned in the cold-water zone high above the Atlantic water’s reach. But over the past decade, Atlantic water has moved to shallower depths and begun to flow into many of the fjords, making them warmer, saltier, and more hospitable to the small organisms that drift in with these currents. Another warming fjord has been particularly well studied. Kongsfjorden lies about 100 kilometers (62 miles) north of Longyearbyen and has a research town, Ny-Ålesund, perched along its shoreline. During the winter of 2005-2006, scientists saw Atlantic water rush into the fjord. Kongsfjorden, once ice-covered every winter, has seen little land-fast ice since. But not all of the fjords on Spitsbergen’s west coast were transformed. 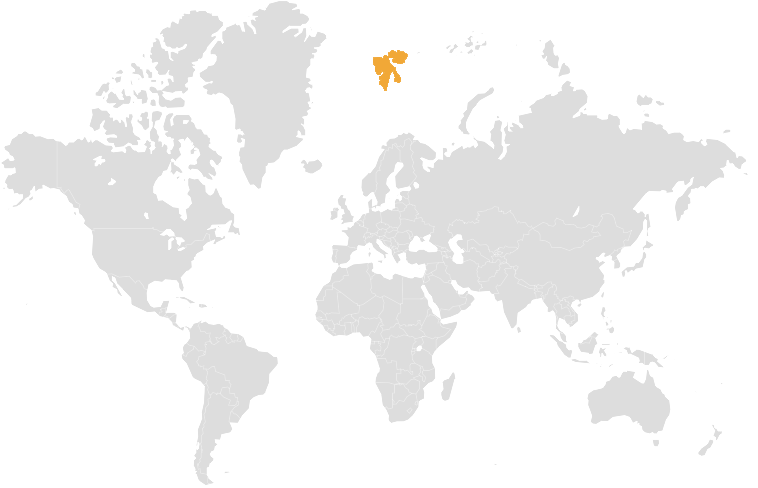 Hornsund, which lies about 139 kilometers (86 miles) south of Longyearbyen, still retained its Arctic features. This holdout provided Węsławski and his colleagues with the perfect opportunity to study the contrasts, and they began to document changes in the other fjords so as to compare them to Hornsund. “It is a natural experiment, like studying two aquaria,” he says. spent three weeks exploring Spitsbergen’s west coast. The ship zigzagged along the West Spitsbergen Shelf and into the fjords, including Hornsund and Kongsfjorden, with 14 scientists on board. They stopped every few hours to collect samples of water, mud, and marine organisms, and to generally assess the health of the Arctic Ocean here. The ice face of tidewater glaciers is a foraging hotspot for seabirds. , a copepod that’s common in cold Arctic waters, but Kwaśniewski won’t know for certain until the specimens are examined under a microscope at his lab in Poland. , or the Arctic copepod, is a central character in the Arctic food web and many scientists consider it to be the ecosystem’s most important species. But recently it has been at the heart of some newly observed and unsettling trends. Arctic habitats tend to be less biologically diverse than those at lower latitudes, populated by fewer species able to thrive in conditions that are too cold—or too dark—for most temperate Atlantic species. While North Atlantic waters hold about 20,000 species, Svalbard’s Arctic waters contain only 2,500—some of them found nowhere else. In much of the world, the ecological effects of climate change are often associated with a loss of biodiversity. But in the fragile Arctic, that effect is reversed: Instead of losing species, the Arctic is gaining them, and the populations are not just surviving but proliferating rapidly. “The locals are still there, but they are being overshadowed by the newcomers,” Węsławski says. , often called the boreal copepod, is smaller and contains about 10 times less energy than its fatty cousin. has dominated its Arctic relative. Although its abundance fluctuates, the boreal copepod accounted for more than 96 percent of the specimens observed in Kongsfjorden water samples in 2014.
also known as dovekies) that nest on Spitsbergen and depend on the energy-rich Arctic copepods for food. “The more disturbances to the Arctic system from the Atlantic, the more difficult life is for typical Arctic species, like these little auks,” Kwaśniewski says. “They come here on purpose. They come here to breed, because they know they can find a lot of good, high quality food. And that food is related to the Arctic marine environment. ’s engines roar to life and the ship moves away from the glacier toe toward the mouth of the fjord and the next sampling location. Polish pop music wafts through the doorway of the lab, where half a dozen graduate students filter water samples, sort through the invertebrate haul, and prepare for the next batch. The waves pick up as we pass rafts of listless little auks, with their anvil-shaped heads and stuffed cheeks. One bird pops to the surface from beneath the boat and flaps its wings frantically as it tries to lift itself off the ocean. Instead it skips along the surface like a flat stone, weighed down by its latest meal. The Polish Polar Station in Hornsund sits on a marine terrace overlooking the mouth of the fjord. It dates back to the mid-1950s and, over the decades, the building has been lived in, abandoned, reclaimed, rebuilt, extended, and updated into a modern research base that now holds scientists year-round. Decades of photographs hang on its pine-panelled walls, showing over-wintering scientists in their finest holiday attire and curious polar bears peering in through the kitchen window. Spread across the steep slope behind the station is one of Svalbard’s largest aggregations of little auks. The small black and white birds nest in the rocky crags in huge numbers. More than a million breeding pairs settle on the archipelago every spring, about 400,000 of them in Hornsund. Katarzyna Wojczulanis-Jakubas, an ornithologist at the University of Gdańsk, in Poland, picks her way across the tundra toward the colony on the slope. Wearing strap-on knee pads and a binocular harness, her long dark hair wrapped in a knot at the nape of her neck, she walks past reindeer droppings and tufts of fur. She continues up the slope, stepping carefully around loose rocks to avoid disturbing any low-lying nests. Clouds brush the mountain peaks behind her. Wojczulanis-Jakubas and her colleagues check on the breeding colony daily throughout the summer months. Some days they capture birds to take various physical measurements as well as samples of prey the birds have recently caught. But today, they are focused on resetting the camera traps they have mounted across the colony to monitor the comings and goings of parental birds between their nests and their feeding grounds. As we near the colony, the shrill chatter of the birds grows stronger. The smell of their guano does too—smoky and acidic, like burning peat. Wojczulanis-Jakubas stops at a jumble of rocks marked by a short stick wrapped with orange tape. Rolling up her sleeves, she reaches into an opening and pulls out a one-week-old chick, covered in black down, to show me. The little bird’s parents are probably out foraging, she says. over other copepods. Adult birds can store hundreds upon hundreds of copepods in a small pocket in their throats, called a gular pouch, for their chicks. without the introduction of another high-calorie food source. A major shift in the abundance of the little auk’s primary food source could be catastrophic for the colony—and has the potential to transmute the terrestrial ecosystem that surrounds them. At the close of the 19th century, near the end of the Little Ice Age, little auks abandoned their breeding grounds in south Greenland and Iceland. One hypothesis points to water conditions near the colonies at the time. As temperatures in the region warmed, sea currents near Greenland and Iceland shifted, bringing warmer water closer to the colonies. Some scientists have posited that the little auks left or died out because they lost access to their optimal prey.
. Such pickiness came at a cost. The birds spent more time flying—and used more energy—than the birds foraging near Hornsund. One bird from Magdalenefjorden flew 150 kilometers (93 miles) to feed near sea ice, whereas none of the Hornsund birds traveled more than 61 kilometers (38 miles). Other scientists have found that little auks foraging in warm-water conditions have higher levels of the stress hormone corticosterone. In one study, by the end of the season, these adults weighed less and fewer of them survived the post-breeding months. So far, neither the adult birds nor their young in Wojczulanis-Jakubas’s study appear to have suffered. But she expects there will be a threshold—a point at which the birds aren’t able to compensate. “We’ll see it in body weight and, eventually, colony size,” she says. The birds have engineered this terrestrial Arctic ecosystem, linking the sea to the land. Their poop is full of nitrogen, an essential nutrient for mosses, lichens, and dwarf willows, which in turn feed Svalbard’s mammals. Looking through binoculars to the other side of the fjord, the rocks are birdless, lifeless, and grey. “There is nothing,” Wojczulanis-Jakubas says. In the land stretching between the colony and the coast, as much as 100 percent of the nitrogen found in the vegetation comes from little auk poop. It’s too early to say what will happen to the Hornsund colony or any of the other little auks on Spitsbergen. But there are hints that climate warming and a switch to the less-nutritious, boreal copepod could do them in. Little auks tend to return to the same breeding site each year, making relocation difficult should the birds’ foraging grounds deteriorate. And other researchers have already found links between warmer climate conditions in Spitsbergen and lower adult survival. They suspect the influx of boreal copepods may be to blame. If the little auks disappear, or their numbers are reduced dramatically, it could change the landscape that plant-eating animals, such as reindeer, depend on. It’s possible that other seabirds might move in to fill the niche they leave behind. Still, the disappearance of a tiny copepod could remake the island’s unique biological fingerprint.
) cuts lazy adagio loops through the sky, sending thousands of little auks into a discordant frenzy. They alight and fill the air with loud warning trills and the frantic whirring of wings. Back on the Oceania, Kwasniewski has some troubling news about Hornsund, the fjord the researchers have been using as their Arctic control. While the team had found Atlantic water here for the first time four years ago, today they detected warm water all the way to the fjord’s inner reaches. Two nights later, we leave the fjord and begin sailing towards Spitsbergen’s southern tip. The seas rock the boat with more vigor than before. By morning, we’re no longer nestled among snow-streaked mountains but staring at them from open water, floating above the edge of the continental shelf. The water here looks different, too, having changed from the milky taupe of glacial runoff to a clear, dark turquoise. As the winch lowers the conical sampling net into the ocean, its white glow is visible more than 20 meters (66 feet) below the surface. For the next few days, the ship zigzags its way north, along Spitsbergen’s coast under the brilliant and unwavering midnight sun. Kwaśniewski has split the scientific crew into two shifts. While one shift is on deck sampling zooplankton and recording ocean temperatures and salinity, the other is sleeping, eating, or showering. Every eight hours, the shifts swap places. The ship stops for measurements every 15 kilometers (9 miles) or so. That first day, during the first few stations, the temperature, salinity, and zooplankton composition seem to line up with Kwaśniewski’s expectations. There’s cold fresh water in the upper layers, and warmer, more saline water at the deeper levels. We rinse copepods from the nets and transfer them into small vials. They appear to be C. glacialis, as expected. Then a ctenophore, or comb jelly, more common in warmer waters, turns up in the zooplankton net. This particular species had never before been reported so far north. At 2:40 a.m. toward the end of the second day, the sun glittering on our salt-encrusted rubber boots, the Oceania stops at the last open-water sampling station before sailing back into Hornsund. Kwaśniewski uses the winch to raise the zooplankton net out of the ocean. I grab the ropes and pull the net over the ship’s guardrail and onto the wooden deck. I unclip the blue container from the net and set it into a lunch-sized cooler. It is swirling with life, like water bugs dancing on the surface of a lake. Kwaśniewski carries the cooler into the lab. He pours the sample into a glass dish and sets it on the illuminated box. That’s when Kwaśniewski sees something unusual. The sample is flush with smaller copepods, likely C. finmarchicus, the warm-water-loving species. But something’s wrong. He grabs the camera and takes a photograph so he can magnify the image on the computer. These copepods are not transparent as they should be. They’re shockingly bright from tip to tail. They’re as red as the shell of a boiled lobster. will then move north to continue sampling in Kongsfjorden. It made me wonder how these fjords might look in just a few years. Will the walls of glacier ice be replaced by gray gravel beaches? Will little auks still perch on the rocks, looking toward their foraging grounds, or will another bird have taken their place? The watery folds and dimples that punctuate Spitsbergen’s coastline have already begun their transformation. The plants and animals of the Arctic’s web of life are changing, forming new connections and dropping others altogether. Even if we stabilize greenhouse-gas emissions over the next few decades, researchers believe that—by the end of the century—Svalbard’s climate and its inhabitants might more closely resemble the composition living within Denmark today—2,500 kilometers (1,500 miles) south. And I find myself wondering whether I will outlive what my generation, and generations for centuries before us, have known to be the Arctic. and a contributor to The Science Writers’ Handbook. 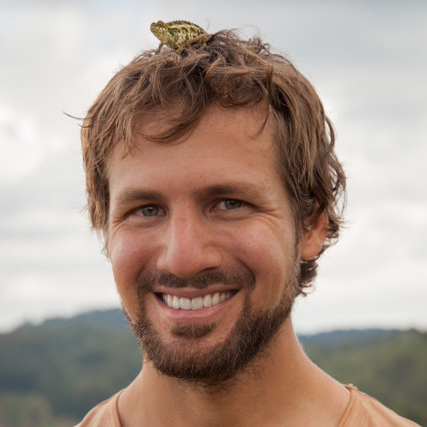 Marcus Westberg is an acclaimed photographer and writer, focusing primarily on conservation and development issues in Sub-Saharan Africa. A photojournalism finalist in the 2015 Wildlife Photographer of the Year, Marcus works closely with a number of non-profit organizations and projects across the continent and is a conservation and community development advisor for Luambe Conservation in Zambia.